What’s funnier than a pie in the sky? A pie in the face! How the pie gets there – along with three other pies flying in V formation during the twelfth annual Worldwide Dessert Contest – is a double scoop of a story. It begins with John Applefeller, the annual last-place finisher in the celebrated event that every July draws hundreds of international dessert chefs to compete for the coveted Silver Spoon (and to compete against Sylvester S. Sweet, the self-proclaimed King of Dessert, who always wins). There’s something fishy about Sweet’s success, but only Josiah Benson, the Worldwide Dessert Contest janitor, seems to know what’s up. And who listens to him? Certainly not the four judges, experts on ice cream, sugar, cakes, and dessert history. Stanley listens, Applefeller’s ten year old assistant, who has helped his boss with his newest and most original contest entry – the world’s largest apple pancake. If it weren’t for Stanley, Applefeller – and you – would never journey in an apple-souffle balloon to the island of Iambia, or meet Captain B. Rollie Ragoon, the dessert-making genius who has his own reasons for suspecting Sweet of sour deeds, or discover how important heart is to winning. This book was deliciously entertaining. I found myself feeling like a kid again reading it. I have since given it to my son to read since he, himself, has a great love of desserts. Robby (my son) is about halfway through but he’s loving it so far. Being an adult I can’t say I’d recommend it for any serious book reading adults unless you’re in the mood to feel young again (which I occasionally do, hence the reason I loved it). I can definitely recommend this for any child (boy or girl). Easy to read and well written. I can also recommend this for any parents looking to encourage young readers by reading aloud to them. I love finding books that I know my kids will enjoy and this is one of them. Disclosure: All opinions are my own. 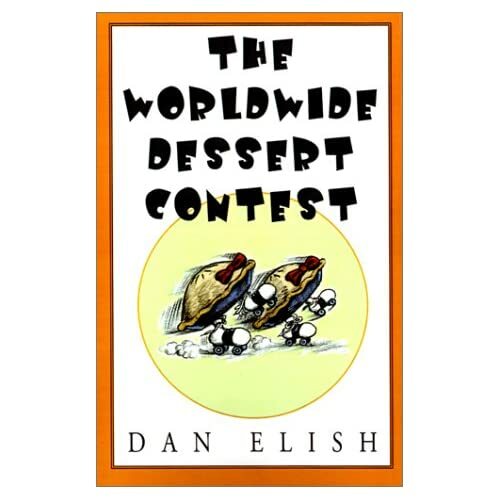 I received The Worldwide Dessert Contest at no cost for the purpose of this review. No other compensation was received.